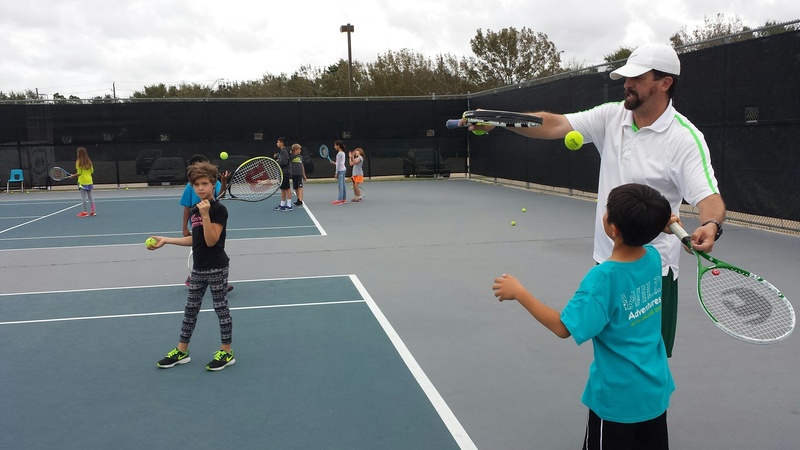 Through fitness drills, plenty of instruction, and a whole lot of summertime fun, these camps are sure to improve the tennis skills of all levels of players. 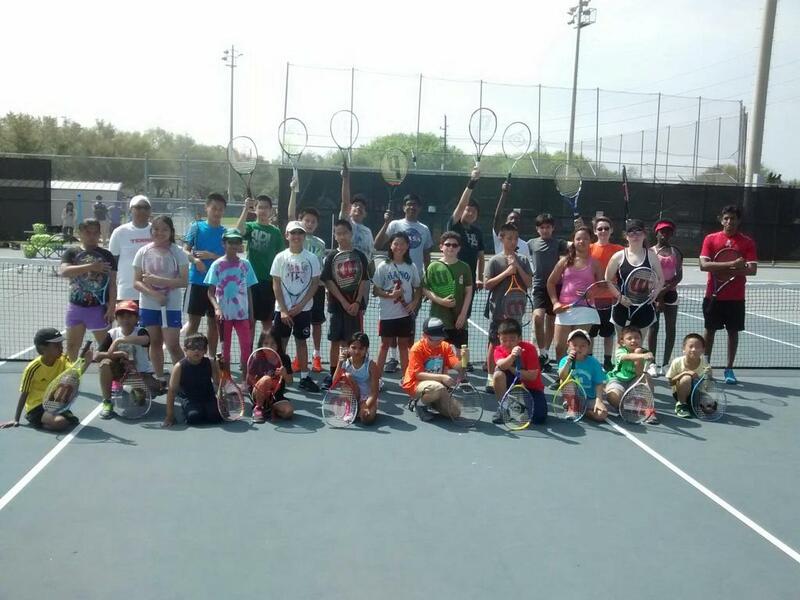 Junior Camps are offered at the Clements High School tennis courts, Sugar Land City Park tennis courts and First Colony Middle School courts for Beginner, Intermediate and Advanced players age 8 - 18 years. Camp Registration Must be received at least one week prior to the start of the Camp. If the Minimum class registration is not met for any Camp (at least 8 players), you will be notified and given the option of a Refund or moving to a different Camp session. You should check with us by the Wednesday/Thursday prior to the start of that Camp Session to see if that Camp Session has made, in addition we will attempt to contact you also. All Summer Camps end with a pizza party! If the minimum registration for the Camp is not met, you will be notified. Requests for refunds must be made in writing and emailed to: chuck@fortbendtennis.com or mailed to: FBTS - 3536 Hwy 6 South, #132 - Sugar Land, TX 77478. Refunds must be requested prior to the second class meeting unless there are special circumstances. 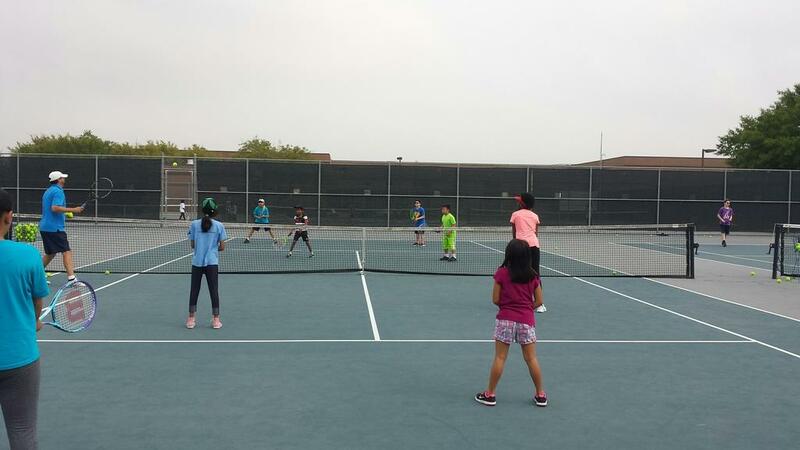 8:30 - 11:30 AM (Fee per Camp: $140 Sugar Land Residents / $150 Non-Residents) 4 days: Monday through Thursday. 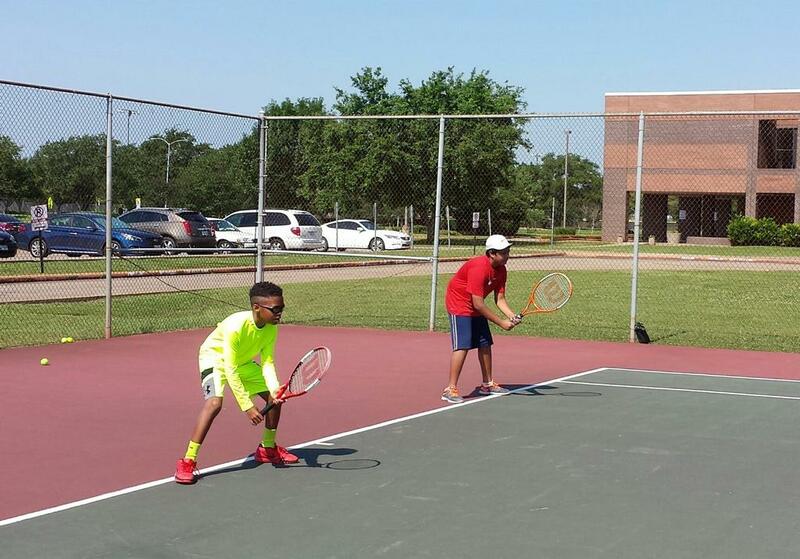 8:00 - 11:00am at First Colony MS Courts (Fee per Camp: $105 Sugar Land Residents, $115 Non-Residents. 3 days: Monday through Wednesday. 5:30 - 8:00pm at Clements HS courts (Fee per Camp: $120 Sugar Land Residents / $130 Non-Residents) 4 days: Monday through Thursday.